Hi again! It's Mande from Sweet Home Alabama! Mamma to 18-month old Parker, wifey to super scientist Max, and currently in the process of relocating from Scottsdale, Arizona to Huntsville, Alabama. I had the pleasure of guest blogging for the Toddler Tuesday series last month, telling about our experience with baby sign language. Thank you to Ashley for having me back again, this time talking about reading with your toddler! As a former elementary school teacher, this subject is SO near and dear to my heart, and for so many reasons. First, being able to literally introduce reading to a fresh new being is the most amazing thing. There's the sharing of the love of books, and all the bonding and cuddle time associated. There's the watching as your baby grows from a passive participant to an active one, turning pages, pointing to pictures and verbally naming them, and making connections between those images and the world around him. And of course, there are the incredible, wonderful, long-term and meaningful benefits of reading daily with your child from the start (just click here, here and here for articles confirming this). 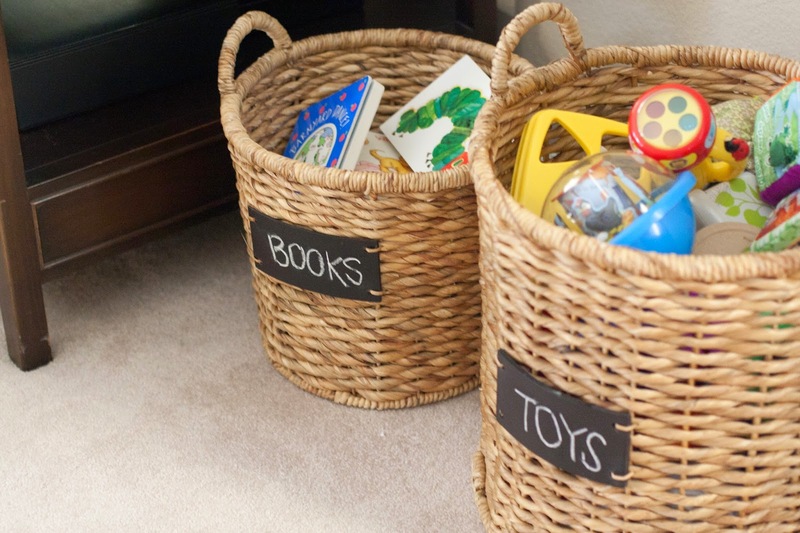 For every basket of toys, we have a corresponding basket of books. 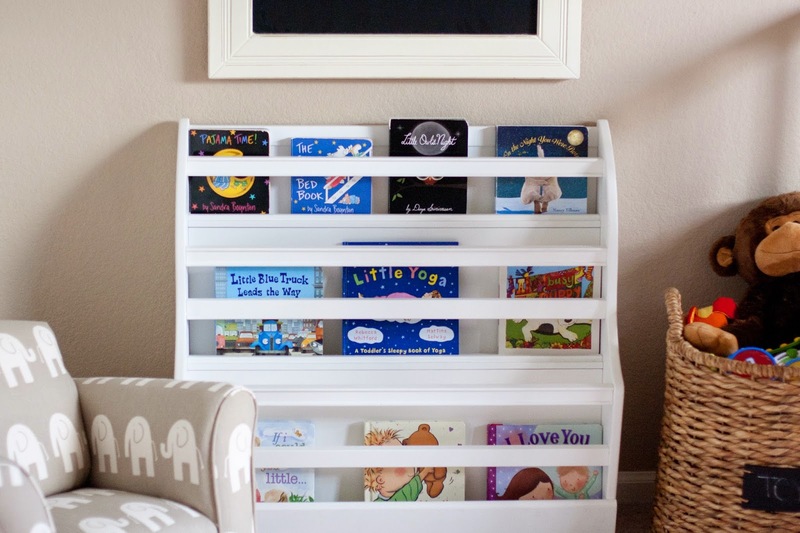 This has been the best way for us to store Parker's board books in a way that is easily accessible, both for us and for Parker. I liken it to veggies in the fridge - if they are front and center, you are more likely to grab for them, as opposed to having them hidden away in a bottom drawer. 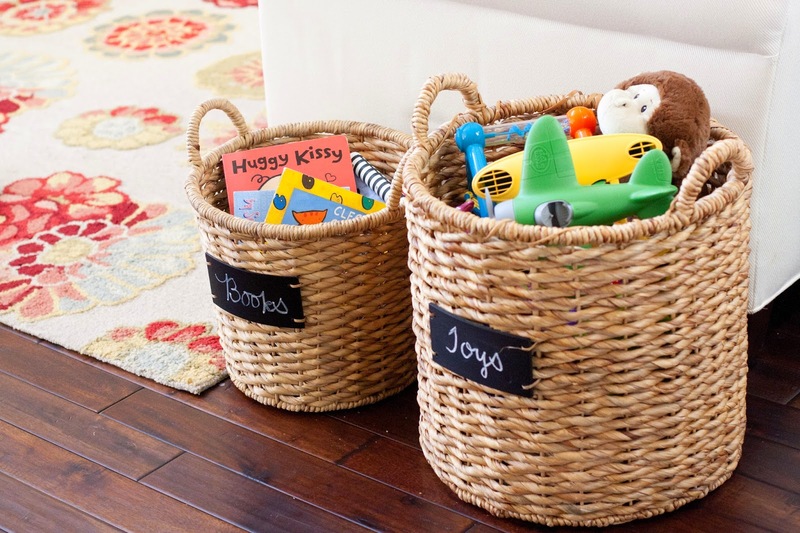 We keep the book baskets in the places we spend the most time - the den, our master bedroom and Parker's nursery. Since Parker can reach in and get the books, this system also fosters independence and autonomy. 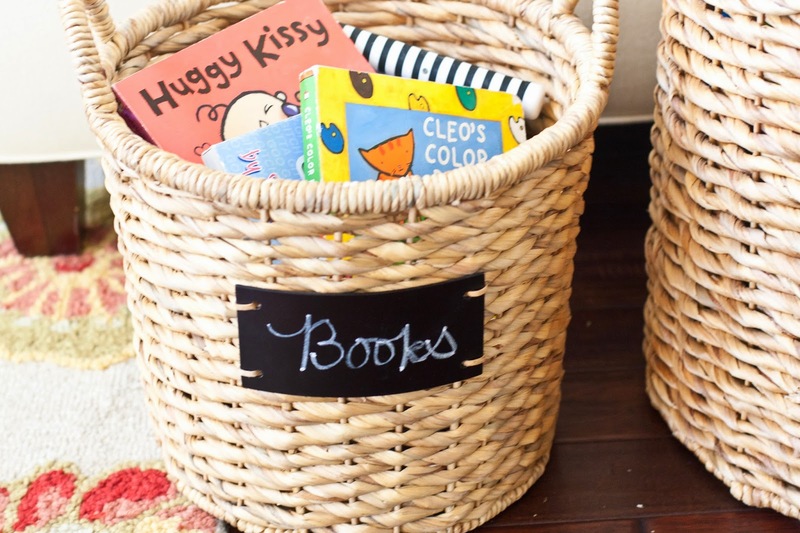 The basket system works wonderfully for sturdy board books, which we read almost exclusively since our little man is tough on his literature. Regular picture books might not hold up so well being tossed in a bin. 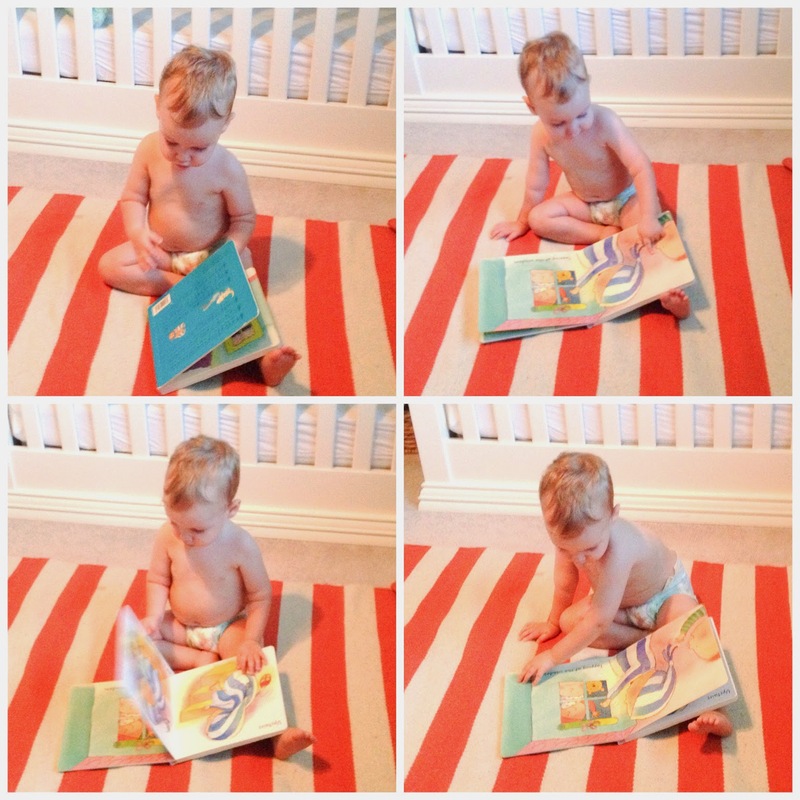 Parker is always, always read to before naps and before bedtime. It's something he has just come to expect, and automatically selects books now when we enter his room at those times. Even if we are having a crazy busy day and haven't sat down to read yet, we will come his first nap. Once the routine is established, it's like having a standing appointment in your schedule and you'll be sure to get quality reading time each day. We even took it one step further, and we read the same exact book before lights out each night. 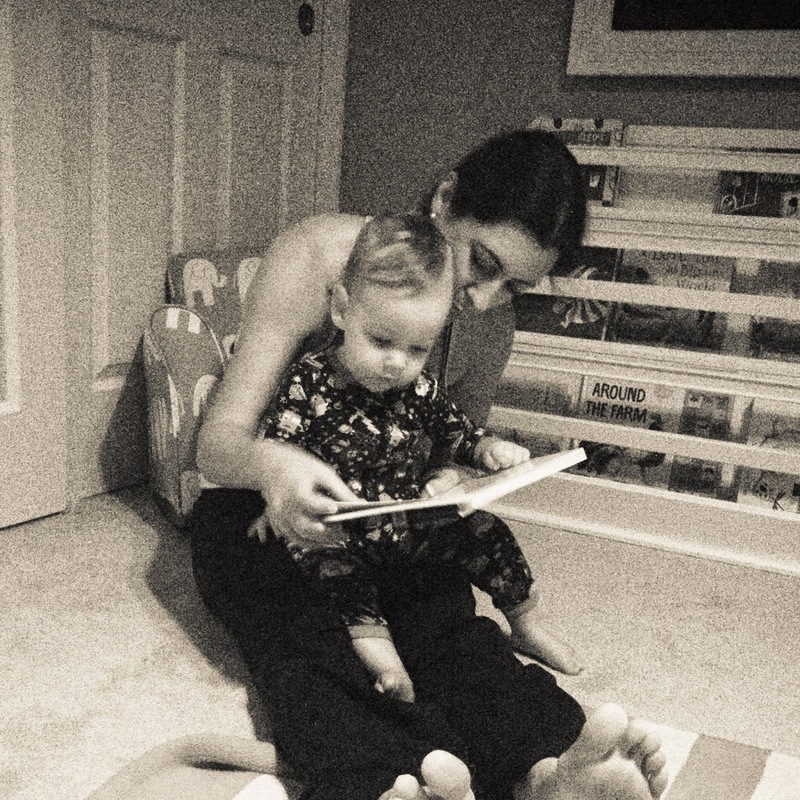 We'll go through a few at bedtime, but the last one is always Goodnight Moon, and has been since Parker was three-months old. Sometimes Parker wants to run around like the crazy ball of energy he is, and he turns away if I hold up a book. Reading is not something I ever want to force; so when he wants to run around I run around with him. I really want reading to have positive associations for him. Other times, Parker will pick out a book on his own, bring it over to me, and will sit in my lap and want the same book read to him over and over and over. And over. He'll flip the last page, turn the book to the front again, and immediately begin signing "more." I try my best to go with what he's feeling, always making it happy and fun. Part of this is being "present" and an active participant in the reading process, pointing out colors, naming objects, asking questions, reading in voices... Parker also loves books with flaps that he gets to open and close, and song books, too. 4. We Turn Off the T.V. Like, literally. If Parker is awake, the television is off. Simply not having this source of entertainment as an option (or tablets, phones, etc.) has both freed up more time for books and has made them Parker's top source of entertainment. 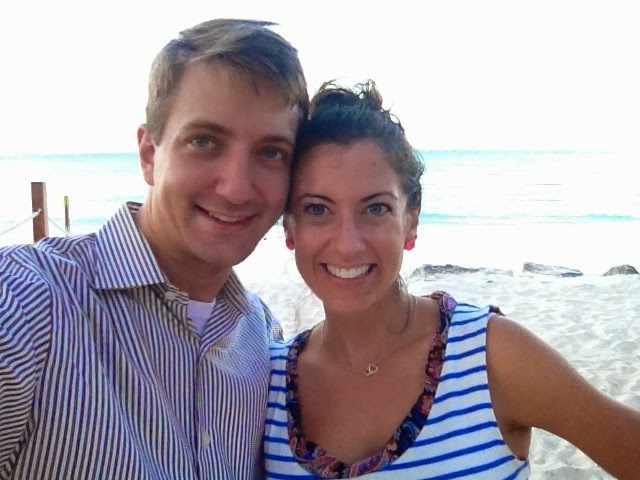 Thank you so much for your guest post today!! Love this! 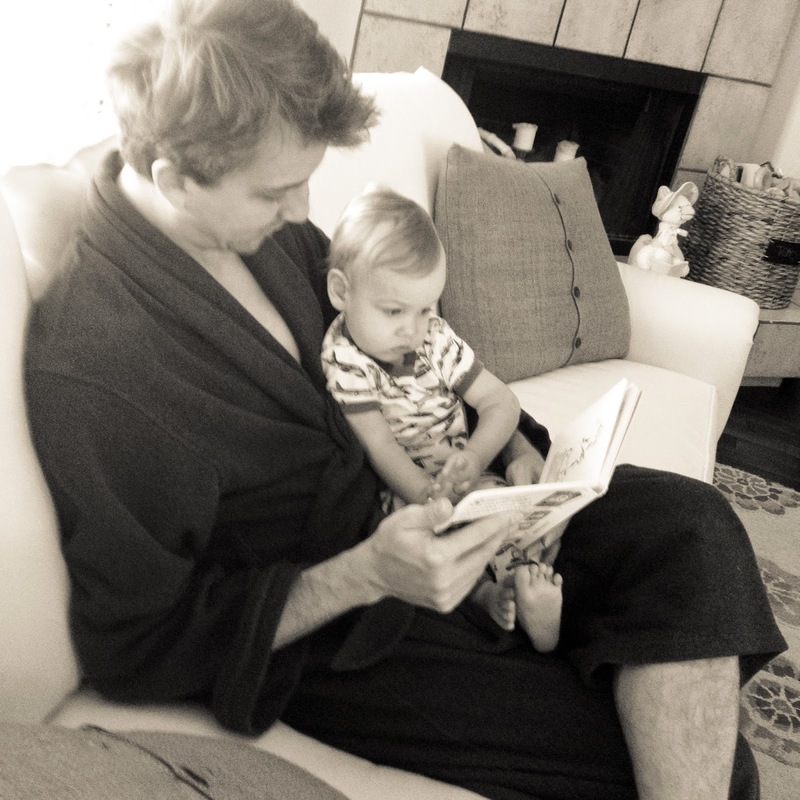 I've always loved reading and I've read to my daughter since she was a newborn. At this point, she's 14 months and prefers books to toys. One of my absolute favorite things is when she pulls a book off the shelf, brings it to me, and sits in my lap. What are some of your/Parker's favorites? I'm always looking for new books! Books are big over here too! Our favorite lesser-known board book is Little Owl's Night! Little Blue Truck is also high on Parker's list of faves, as well as anything Sandra Boynton and anything Nancy Tillman!